Russiagate: A CIA Concocted Hoax. Trump Knows It. Trump is wrong about most things, not this. No evidence, nothing, proves Russian meddling in the US political process. If it existed, it would have been revealed long ago. It never was and never will be because there’s nothing credible to reveal, Big Lies alone. Trump’s above remarks were in Helsinki. In response to a raging Russophobic firestorm of criticism back home, he backtracked from his above comments, saying he misspoke abroad. He accepts the intelligence community’s claim about Russian US election meddling – knowing it didn’t occur. Russiagate was cooked up by Obama’s thuggish Russophobic CIA director John Brennan, media keeping the Big Lie alive. 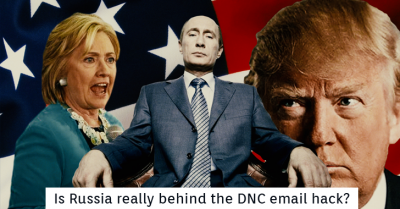 DNC/John Podesta emails were leaked, not hacked – an indisputable fact media scoundrels suppress to their disgrace. “WikiLeaks has never published any material received from the Russian government or from any proxy of the Russian government. It’s simply a completely untrue claim designed to divert attention from the content of the material” and its true source. The Big Lie alone matters when it’s the official narrative. The Russian meddling hoax and mythical Kremlin threat to US security are central to maintaining adversarial relations with America’s key invented enemy. It’s vital to unjustifiably justifying the nation’s global empire of bases, its outrageous amount of military spending, its belligerence toward all sovereign independent states, its endless wars of aggression, its scorn for world peace and stability, its neoliberal harshness to pay for it all, along with transferring the nation’s wealth from ordinary people to its privileged class. America’s deeply corrupted political process is far too debauched to fix, rigged to serve wealth, power and privilege exclusively, at war on humanity at home and abroad. It’s a tyrannical plutocracy and oligarchy, a police state, not a democracy, a cesspool of criminality, inequity and injustice, run by sinister dark forces – monied interests and bipartisan self-serving political scoundrels, wicked beyond redemption, threatening humanity’s survival. Today is the most perilous time in world history. What’s going on should terrify everyone everywhere. Washington’s rage for global dominance, its military madness, its unparalleled recklessness, threatens world peace, stability, and survival. Featured image is from The Hacker News.